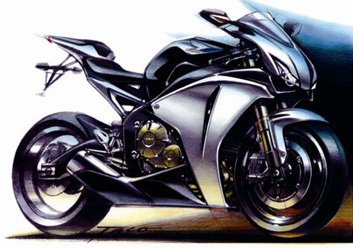 Here is a photo of the concept of the 2008 Fireblade. 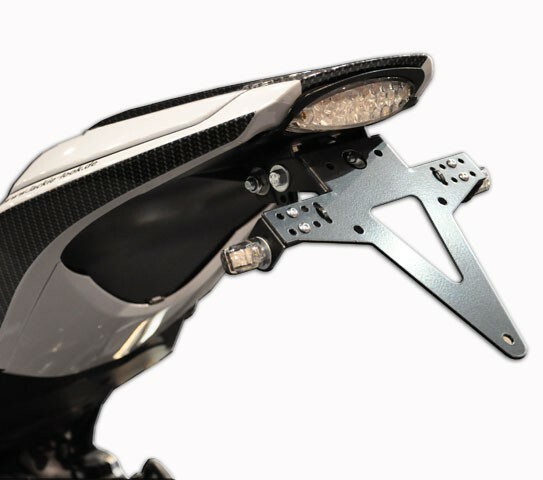 Besides the sleekness of the design, Its amazing how different the tail unit is compared to the final bike. The final bike tail looks like its added been eating a few pies. It occurred to me that having seen the race bikes, they are a true reflection of the original design. 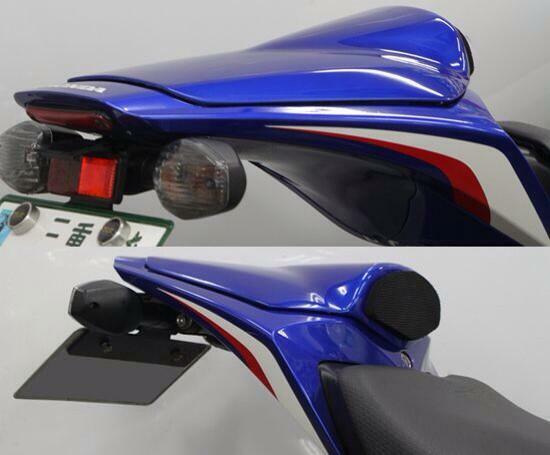 The photo of the blue tail unit is a TSR tail unit. This is the nearest to original design on a road bike. Its a shame that its discontinued. I have found a couple of others which look okay but haven't quite got the number plate right. How about some cool engine block offs?